Now for some good news. From tomorrow the first ban on shark and manta ray trade comes into force. This was agreed last year at a meeting of the Convention on International Trade in Endangered Species (CITES) in Thailand. Shown is an Oceanic Whitetip Shark (Carcharhinus longimanus), one of the species to be elevated to Appendix II of the CITES code, which means that traders must have permits and certificates. 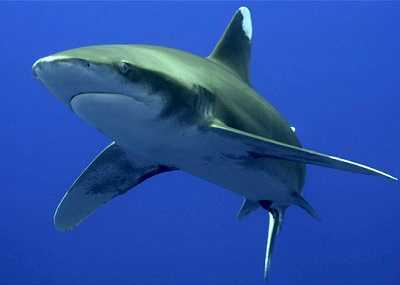 The porbeagle, manta rays and three varieties of hammerhead sharks will also be protected (CLICK).